Jodie Gunzberg is responsible for managing S&P’s commodity indices, including the bellwether S&P GSCI, regarded as the leading measure of commodity price movements globally. In an interaction withThe Hindu BusinessLine, she talks about why, after a six year lull, commodities may be back in action. What has been the trend in global commodity markets in the last few years? In the past few years, supply has outweighed demand, especially from 2008. When the global financial crisis hit, demand dropped off, so supply slowed to let the excess inventories draw down. During this time, commodity performance was relatively weak. Finally, in 2013, commodities started to see shortages again. That continued through the second quarter of 2014 and performance made a comeback. However, since July, a combination of perfect weather for grains and fewer oil supply disruptions have built up inventories in several major commodities. Precious metals have been down on decent retail sales in the US, but may strengthen, depending on Russia-Ukraine tensions. Also, gold, after having dropped significantly in the last one month, seems attractive to China for the mid-autumn festival and to India ahead of the Dhanteras and Diwali festivals in addition to the wedding season. Industrial metals is the only sector that has held strong, mainly from supply constraints and strategic stockpiles. Overall, the strengthening dollar has been a headwind for commodities, though much will depend on weather and supply disruptions, especially for commodities with sensitive inventories. Do you think commodities will under-perform stock markets in the next one year? This depends on a number of influences. If inflation materialises, interest rates rise and shortages persist, it is likely commodities will do relatively well. It also depends on where the commodity/equity cycle is and when the turning point may happen. We have now seen six years straight of equity out-performance. As companies have raised capital, they may buy more natural resources to make their output grow further. This may increase demand for commodities and may be the beginning of the mid-cycle. Equities have historically led the cycle. The economic revival in the US and Europe should help commodity prices revive, isn’t that so? 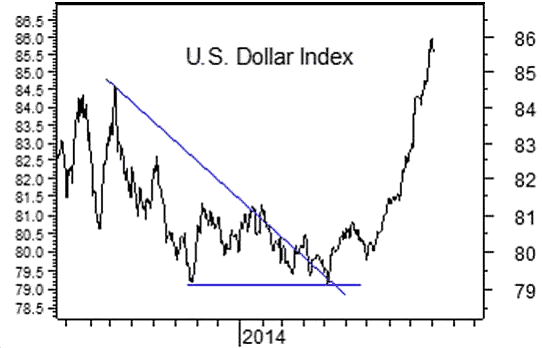 Stronger demand may help commodity prices, but again, there are other factors such as the strength of the dollar. Supply shocks also matter and when inventories are low, that may not only spike commodity prices but also drive down correlations down between commodities and other asset classes. Many factors may determine the future price of oil. Currently, oil is sensitive to slowing Chinese demand growth and euro zone manufacturing growth that may be further diminished by sanctions against Russia. Also, concerns have eased over supply disruptions from Libya and Iraq. After rallying in the first few months of 2014, gold is now moving down. Where will prices go from here? Gold historically acts like a combination of a commodity and a currency. 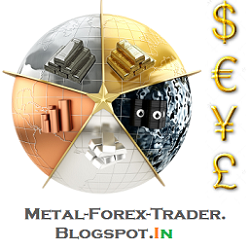 Gold has suffered from the economic revival, strong stock market and stronger dollar. Last time gold dropped as much in a year (in 1981) as it did in 2013, it took 25 years to recover. What should a commodity investor watch out for? There are two major opportunities to capture returns in commodities — cyclical opportunities and systematic opportunities. Trend-following systems can capture cyclical opportunities because only price can respond to supply and demand balance. This is because commodities, in the short run, cannot be drilled and mined, causing relatively slow cycles of inventory building. So when there is a supply/usage imbalance in a commodity market, its price trend may be persistent, which may be captured by trend-following programmes. However, currently commodities are hovering at near equilibrium. Short-term disruptions can swing the pendulum quickly, leading to opportunities to bet on mean-reversion. It is debatable whether the shortages that appeared in 2013 and the first half of 2014 are gone for good. The inventory build-up may be temporary based on weather and geopolitics. However, one must keep focus on longer-term factors such as the strength of the dollar, which is historically inverse to commodity prices, rising inflation, rising interest rates and demand forces coming from China and other parts of the world.